Ace Hoffman's Nuclear Failures Reports: St Lucie is falling apart: Who can be sure it will fall gracefully? St Lucie is falling apart: Who can be sure it will fall gracefully? A letter-to-the-editor in the Miami Herald on the anniversary of Fukushima (when the nuclear operators got it all wrong) claims the activists are getting it all wrong at St. Lucie. The letter [shown below] tried to assure readers that the problems with steam generators at St. Lucie are markedly different from the steam generator problems that caused the San Onofre reactors in California to shut down permanently last year. This letter would have us believe that all possible steam generator tube leak events are minor: A tube leaks a "small" amount of radioactivity (it can be hundreds of gallons a minute of primary coolant, which is highly radioactive). That leak flashes to steam inside the steam generator, and is detected when the secondary coolant loop's steam is condensed. Radioactive noble gases such as Nitrogen-16 don't condense, and are released, usually into the turbine building. In response, the reactor is shut down if the leak is more than a legally-permitted amount, or is growing by more than a legally permitted rate of increase. It sounds routine, but it isn't. First of all, every "SCRAM" of a reactor is a significant event, which is logged and recorded, and costs about half a million dollars a day in replacement fuel and operator/staff salaries while there is no income. Second, even a few of these sudden stoppages of millions of pounds of fast-moving fluid in the course of a year is considered a very, very serious problem at ANY nuclear reactor anywhere in the world. But thirdly, and most importantly, what San Onofre suffered from was a special type of vibration, but the significance was not that it was "tube-to-tube" wear as the writer claimed, which was true, but more importantly, it was a type of tube-to-tube wear which results in large numbers of adjacent tubes banging violently into each other in a not-entirely-chaotic pattern where the wake turbulence of one tube amplifies the wake turbulence of the next and the next... until something breaks. It is called Fluid Elastic Instability. Normal pressurized water reactor tube wear, whether tube-to-tube wear or tube-to-support-system wear, does not usually involve more than a single tube that hits one or both adjacent tubes on either side of them in the unconstrained plane. Why is there an unconstrained plane in the first place? Because the tubes expand by several inches as they heat up, and during operation, they flutter somewhat. At San Onofre, and at St. Lucie, they fluttered too much. If St. Lucie's tube wear is truly different, as the nuclear engineer writer to the Miami Herald claims, then one thing would have to be proven: Namely what really happened at San Onofre! At the behest of the Nuclear Regulatory Commission, the operator of the plant, Southern California Edison, called in top industry experts who were NOT able to conclusively (or even unanimously) say what went wrong at San Onofre, and more specifically, why Unit 3 shook itself apart and actually leaked, and Unit 2 apparently did not suffer from the non-chaotic vibration in any way (only one case of "tube-to-tube" wear in Unit 2, attributed to other causes). Tube-to-tube wear is assumed to result, as with tube-to-support-system wear, in ONE of the thousands of tubes leaking. Certainly with tube-to-tube wear, if the leak condition were allowed to continue, one could expect the other tube to begin leaking at some point (and this has happened), but that's assumed to be the normal extent of it. St. Lucie, however, should not be treated as "normal," because it has thousands of indications of tube wear, all over the board. It would be mathematically difficult to prove that there is no fluid elastic instability going on, just as it has not been proved or disproved to have occurred in Unit 2, or even Unit 3 for that matter, at San Onofre. It would be even more difficult to prove that fluid elastic instability could not occur during a "blowdown" of the steam generator, which is a design-basis event (it could be caused by a main steam line break combined with a stuck-open isolation valve). With thousands of wear indications, more than a hundred of them significant enough to be plugged and likely hundreds more to be plugged in the life of St. Lucie, if allowed to operate, it is reasonable to assume that multi-tube breaks are possible. The pattern of wear may change over time, as tubes get thinner and covered with corrosion. But with nearly 4,000 tubes showing wear -- nearly one in every four tubes -- multi-tube ruptures should be considered not just possible, but likely, including full break-offs of one tube into another and another. In their licensing decisions, the Nuclear Regulatory Commission has always assumed that one, and only one, steam generator tube will leak at any one time. This assumption was based on the idea that tube wear would be chaotic. Non-chaotic wear, such as happened at San Onofre, had never occurred before in an operating U.S. reactor (and Japan's Mitsubishi Heavy Industries, which built the steam generators, did not expect it either). It had shown up in laboratory experiments but the conditions were thought to be unlikely or impossible in actual reactors. San Onofre has practically proven -- and it's generally assumed -- that modern steam generators are capable of a very damaging non-chaotic tube-to-tube wear behavior that can develop very rapidly (over a period of a few months) to as little as a few minutes (during a blowdown event) and can damage the dime-thin tubes catastrophically. We lost Fukushima to poor design. We lost Chernobyl. We almost lost Detroit, and we almost lost SoCal (and Davis-Besse and many other plants). Were it not for San Onofre, St. Lucie's tube wear would be considered unprecedented. St. Lucie is just another nuke clunker that should be retired forever. There's no reason to risk the sunshine state any more than there was to risk the golden state. >but typically loose with the facts. >Floridians should not fall for it. >immediately, and the plant would be shut down within minutes. >there is no such tube-to-tube contact at St. Lucie. The depth of wear at St.
>suggested that what happened at San Onofre is plausible at St. Lucie. >Rather, they have said exactly the opposite. >potential for an internal system leak. >license amendment allowing higher power levels. >It is true that there has been a significant amount of tube wear at St.
>typically reduces over time, which appears to be the case at St. Lucie. >quoted in this article are not held to the same standards. >tube wear on steam generators. "James S. Tulenko, is a professor emeritus in the Department of Nuclear and Radiological Engineering at the University of Florida. He has more than 40 years of experience with nuclear power plant design and operation, including tube wear on steam generators." Yes, but will James take financial and moral responsibility for the nuclear catastrophe that he seems to be flirting with? If not then he should not claim to be an expert worth anything more than his potentially catastrophic opinions. 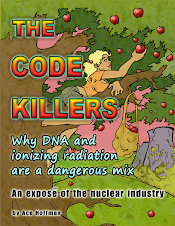 To get diagnosis and/or risk analysis wrong when dealing with failing nuclear reactor units situated in populated areas does not mean risking the reactor unit, it means risking the public health and property values of the entire region around the reactor unit. And that dear James is not a technical question to be smugly answered by the very industry that created the problem in the first place, it is a moral question to be openly debated by the key stakeholder-public (potential victims) living across that region. It is also worth noting that St. Lucie is a Combustion Engineering reactor design employing only two large steam generators (like San Onofre), as opposed to the Westinghouse units with four steam generators. The much larger SGs appear much more vulnerable to tube vibrations. Surprising that the original design lasted as long as it did. Amen, Ace. Thank you so much.